Every six months or so I have to face the stack of empty supplement buckets in my feed room. I hate throwing them away because it seems like such a waste and every once in a while someone asks if I have a bucket and I always feel like a super hero when I say, “Yes, I do! I’ll be right back” and I return with the bucket in hand. But after a while, they stack up and they are taken out to the curb to be picked up. I’ve always wanted a garden although I don’t know if I can actually grow anything. I have horses covered, I know how to keep those alive, but plants well I’ve just never tried. 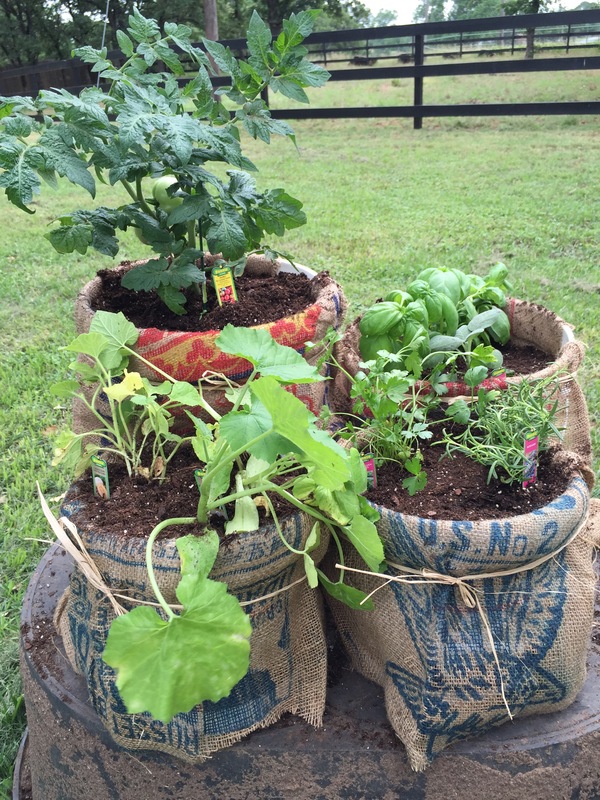 After pinning two years worth of garden ideas, I’ve come to the conclusion that a container garden may be the perfect match for me. 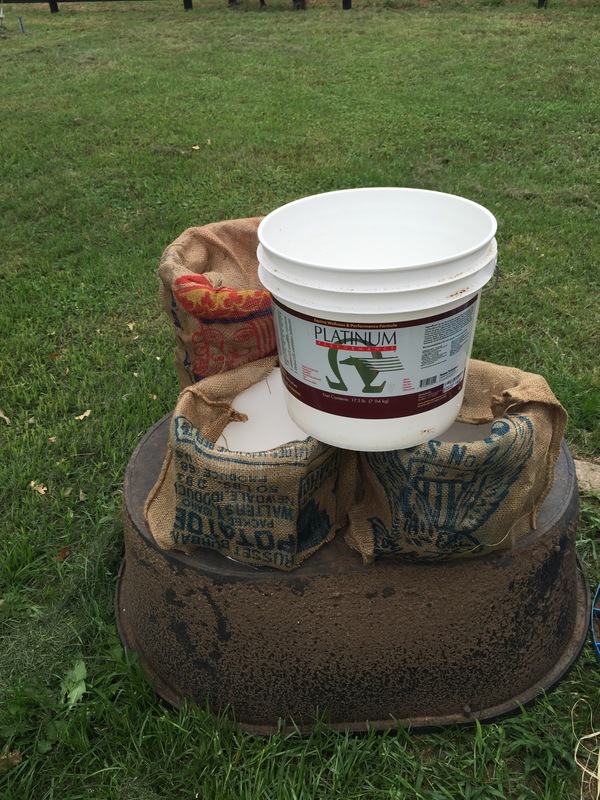 After all I have all these buckets…. 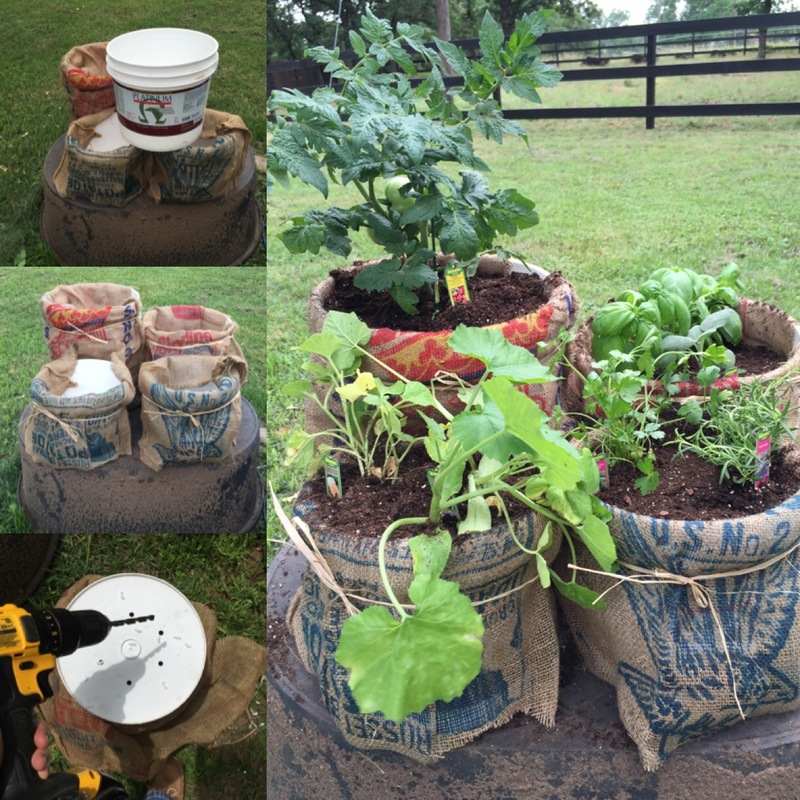 So today I took the first step to repurposing the supplement buckets and seeing if I have any sort of green thumb! 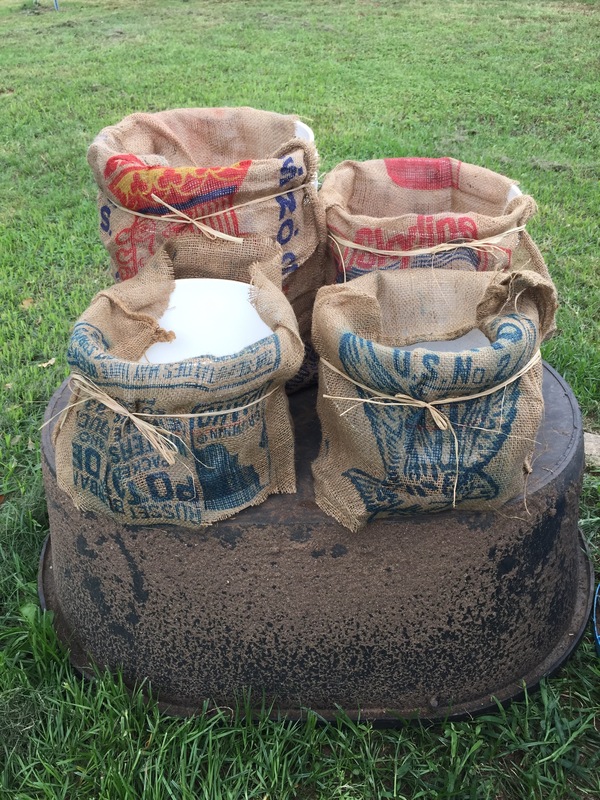 The old potatoe sacks I bought at a junk show that came to town for the weekend, but I got the idea after seeing a stack of them while at a farm supply store in Ft. Smith, Arkansas when I was up there for the Old Fort Days Futurity. Since I bought them from the junk show the gal had tied them with raffia which added a nice finishing touch to the buckets. 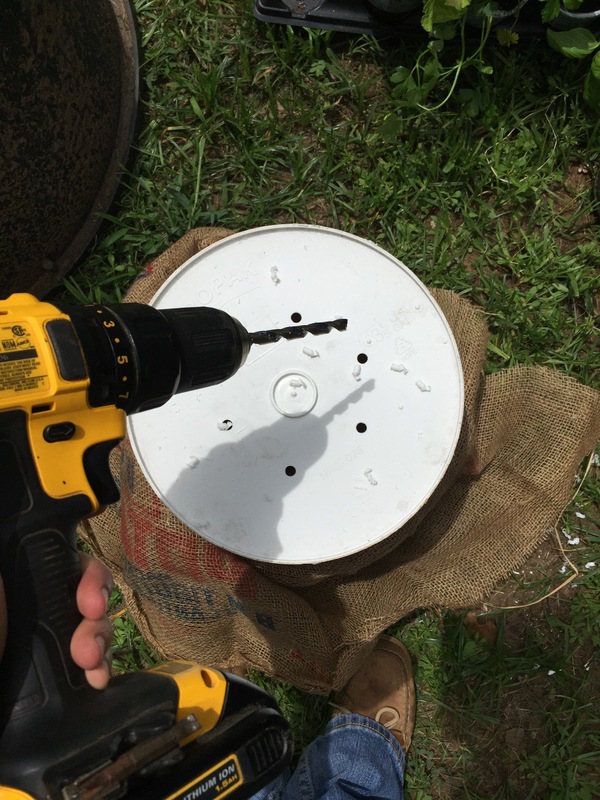 I had to cut the sacks down the back and the middle to fit around the bucket. I think the ones I bought were smaller bags. When I went to go buy the plants at Home Depot they had roles of weed barrier with no color that were made out of the same material for a fraction of the price. I drilled holes in the bottom because that seemed like something that I should do. Previous You may be a Basic Barrel Racer…. If….